I ordered one of these Aculief headache and tension relief clips for myself last year, and while it isn't a miracle cure, it has its benefits. The wearable painkiller has indeed killed - or at least tamed - my tension headaches on many occasions since I've had it. I've also started wearing it to bed on nights my neck and shoulders feel tight, and on the verge of cricking up into a morning headache. Aculief does not have glowing reviews from others across the board, but it does have a loyal following and is a relatively inexpensive, and drug-free, option that might work for you if you suffer from migraines or chronic headaches. 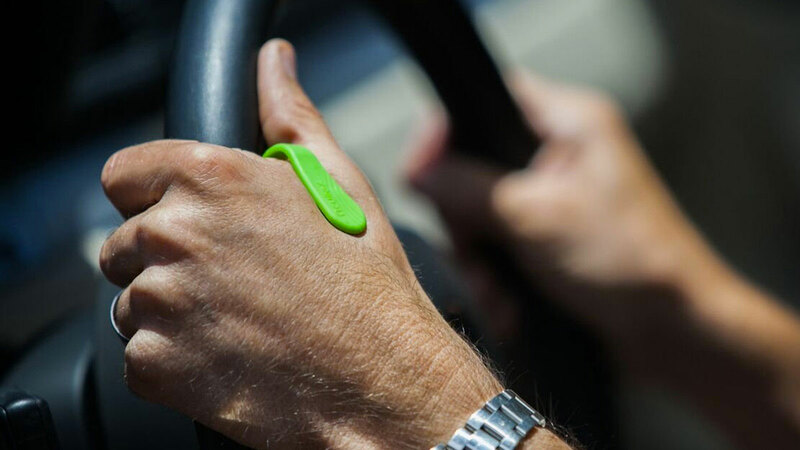 The placement of the Aculief wearable clip between your thumb and forefinger targets your body's LI4 acupressure point. Its makers report that LI4 is one of the most powerful acupressure areas of your body, and has been a key point in acupressure treatments for headache and tension relief for thousands of years. Aculief also cites a Johns Hopkins / University of Maryland study that says, "Proper stimulation of the LI4 is effective in relieving headaches, pain of the eyes, toothaches, jaw pain, and pain of the limbs and bones." You can technically wear the Aculief anytime, and during most activities to self-treat pain and discomfort without pills. However, my clip - which is made of hard plastic with a flexible bend at the arc - has stretched over time, and will pretty much stay on only when I'm sleeping and typing. These days my best results come when I put the Aculief in place on my and, and then squeeze the two ends of it together, kind of massaging around the LI4, or whatever's going on in there. 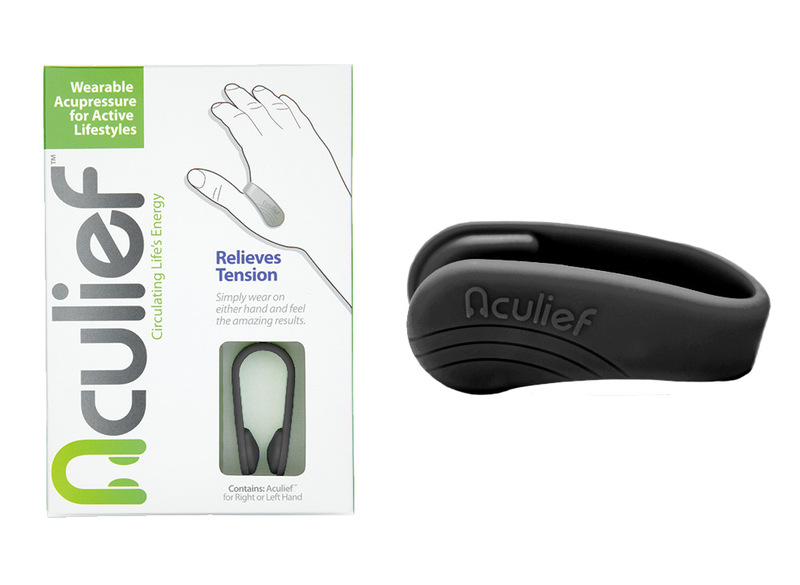 For a limited time, you can get a 2-pack of Aculief wearable headache and tension relief clips for 37% off retail value.